Amping up horsepower and torque in addition to creating a more aggressive exhaust note, 2018-2019 Wrangler cat-back exhaust systems replace everything to the rear of the catalytic converter. The mandrel-bent pipes used for these parts don’t crimp or choke the exhaust flow, while the high-flow wide-open mufflers offer the least possible restriction to the waste gases and are also tuned to provide a deeper, throatier sound. While these 2018-2019 Wrangler exhausts cost more than an axle-back system, they boost throttle response, horsepower, torque, and fuel economy much more than the shorter systems, eliminating exhaust backpressure so your Wrangler JL’s engine breathes easier. 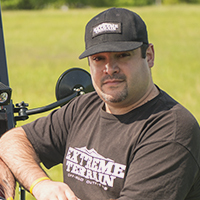 You can find lots of quality systems on Extreme Terrain from MBRP, Pypes, Borla, Magnaflow, and others, made from T409 or even top-line T-304 stainless steel and carrying warranties of up to a lifetime.